Parsing is the process of structuring a linear representation in accordance with a given grammar (Grune and Jacobs, 1990). The basic idea of parsing evaluation consists in measuring the similarity between the parser-generated tree-structure (also called labelled bracketings) and the manually constructed tree-structure. Adequacy evaluation involves determining the fitness of a parsing system for a particular task. Efficiency evaluation is to compare the parse time of a given parser on a common test data set with a reference parser. PASSAGE, French evaluation campaign for syntactic parsing (2007-2009). EASY, Evaluation campaign for syntactic parsing organized by French Technolangue action EVALDA (2003-2006). XTAG, wide-coverage grammar development project for English using a lexicalized Tree Adjoining Grammar (TAG) formalism (1998). 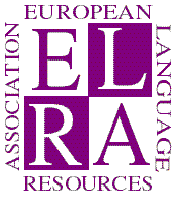 SPARKLE, Shallow Parsing and Knowledge extraction for Language Engineering, European project (1997-2000). GRACE, Grammars and Resources for Analyzers of Corpora and their Evaluation, part of the French CCIIL program (1994-1997). TLT 7, The 7th International Workshop on Treebanks and Linguistic Theories (2009). CoNLL Shared Task 2009: Syntactic and Semantic Dependencies in Multiple Languages (2009). COLING 2008, workshop on "Cross-Framework and Cross-Domain Parser Evaluation". LREC 2008, workshop on "Partial Parsing Between Chunking and Deep Parsing". ACL 2008, workshop on "Parsing German". IJCAI, workshop on "Shallow Parsing in South Asian Languages". COLING ACL 2006, tutorial on "Dependancy Parsing". MSPIL-06, First National Symposium on Modeling and Shallow Parsing of Indian Languages. LREC 2002, workshop on "Beyond PARSEVAL Towards Improved Evaluation Measures for Parsing Systems". COLING 2000 Workshop on "Efficiency in Large-scale Parsing Systems". LREC 1998, workshop on "The Evaluation of Parsing Systems". Grune D. and Jacobs C. (1990) Parsing Techniques: a Pratical Guide. Published by Ellis Horwood, Chichester, England.